Did you know that more than 2 million people visit the North Carolina State Fairgrounds annually? While planning your trip, please consider staying on-site or at one of the following hotel partners for your stay. For additional resources, please visit the Raleigh Convention and Visitor's Bureau. Please note: Limited camping access is available during the month of October and certain event weekends. Avoid the commute, relax and enjoy the North Carolina State Fairgrounds' newly expanded campgrounds. With 100 newly updated, full-service sites, and an additional 200 sites on the grounds, we are equipped for all your RV camping needs. Rental cost for a 24-hour period effective August 1, 2015 is $30 per unit EXCEPT during the month of October the rate is $35 per night per unit for any RV space. Spaces are first come, first served with no advance reservations taken. Check in upon arrival by calling 919-612-6767. The brand new 100% smoke free Holiday Inn Express Hotel & Suites Raleigh SW at NC State offers 108 well-appointed guestrooms and suites and is conveniently located off I-40 Exit 295 (Gorman St). 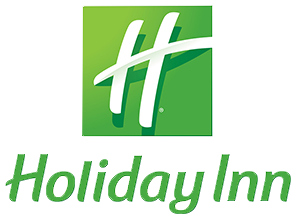 The Holiday Inn Express offers a FREE HOT Breakfast bar daily, FREE wired/wireless Internet access, heated indoor pool/spa, fitness center, onsite laundry facilities, business center, friendly guest services and meeting space able to accommodate up to 100 people. Use corporate id # 100275924 to take advantage of our special NC State Fairgrounds rate. Completely renovated in 2015 with over $2 million is upgrades! Extended Stay Suites with Full Kitchenettes Available!